Airborne Athletics is a private company which designs, construct, provide and wholesale training equipment normally of basketball and volleyball. The company was found by two brothers in 1995 and started with creating volleyball machines. Then after they look towards constructing a basketball machine with same general technology known as Dr. Dish. 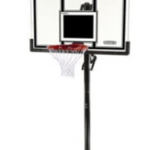 These training machines helps the player to improve their shooting, defense, rebounding and perimeter shooting. Thus letting young athletes to train faster and with high intensity. One of Airborne athletics basketball training machine is the ic3 basketball shot trainer. This trainer comes with great features and benefits that lets you to enjoy this beautiful game. 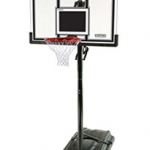 This basketball shot trainer has the capability to fit and assemble very easily on any basketball hoop system. The main purpose of this shot trainer is to make your shooting quickly by catching and returning the missed and made shots. A proper arc is patented to let you easily target and shoot that respective place. The ic3 basketball trainer is very compatible and easy to store. The installation done is very easy to understand. Thus, letting you to shoot hundreds and thousands basketball shots by Dr. Dish basketball trainer. In modern time, everyone wants to do their work as quickly as possible without wasting any time. Same goes for basketball hoop system, on which you have to chase the ball after every shot, either into yard, driveway or in mom’s garden. For that, a special type of technology is invented by airborne athletics and its name is ic3 basketball shot trainer. 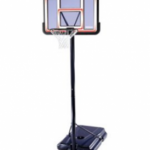 This is basically a rebounding machine that catches your misses and shot, thus preventing the hassle of going over all of the yard or in court just to get your rebounds. This trainer has the ability to enhance your shooting reps up to 300%, which means sixteen shots per minute. The trainer makes your ninety minutes shooting workout into just thirty minutes. 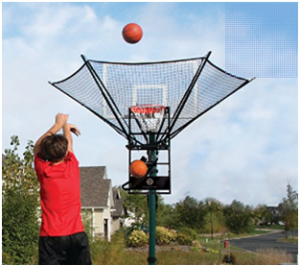 Thus giving you an ultimate basketball experience in your home or in a yard. 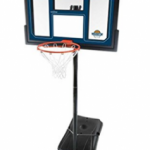 The ic3 basketball shot trainer is very easy to set up. The trainer lays above the rim of the basketball hoop. The frame is made with solid steel and has the capability to withstand cold or hot weather, along with storage for rain and bad conditions. The weight of the trainer is 35 pounds which may not be really heavy, but might going to be for some. So it is recommended to ask for assistance at the time of installation. Most of basketball players are purchasing expensive basketball hoop system thinking that just spending a lot of money will improve their game and in a quick time they will be called professionals. Even after that they improve their game up to some level but they usually lack while doing quick shooting. Quick shooting is very hard to do with a rightful technique, as it leads you to unacceptable and sloppy play that subsequently damages your confidence. With ic3 basketball trainer, you can take assistance of its patented design that tells you a correct form which will thoroughly improve your shooting skills after every practice. Quick shooting is also a muscle building exercise, as taking shots in quick succession requires proper strength and endurance. With this trainer, by taking repetitive shots your upper body is going to be pumped up along with enhancement in your form. The ic3 basketball trainer is very light and durable. 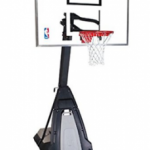 The trainer has been designed to mount on any basketball hoop, whether it is the portable one or an In-ground basketball hoop. The trainer sets up on the rim of your basketball hoop which takes nearly seconds. Usually recommended for In-ground pole or portable hoops that consist of sturdy base. Standard 72 inches backboard is very much compatible. Around two wrenches of ten millimeters are used to set this beautiful trainer. Wrenches are not included with the trainer. The net has the tendency to catch every miss or made shot, with a form to shoot within 45-degree arc. Though you can adjust the ramp up to 180 degree to make the ball where to exactly return. If somehow you are not satisfied with the product, you can easily return it within thirty days from your purchase date. Though re-stocking fee and return back shipping is deducted from the refunded amount. The weight of the trainer is 35 pounds. The length and width of the trainer is 22 inches each. The height of the trainer is 59 inches. Have the capability to fit very easy on basketball hoops. Can catch and return your missed or made shots. Proper arc is used to improve your basketball shots. Easy to assemble and install, gives maximum compatibility. The ramp can be adjusted within 180 degrees to catch the ball. Compatible with backboards having a size of 72 inches. The steel frame can withstand different climatic conditions. Accessible from kids aged 7 or up. Two sturdy wheel are included. Comes with thirty days money back guarantee. 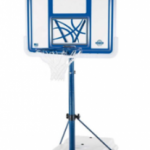 In my opinion, the ic3 basketball shot trainer is one of high quality basketball training equipment that let you to improve your shooting in a very compatible way. 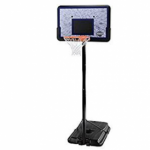 This trainer might not be really budget friendly for many people but it’s very affordable when you compare this with electric basketball rebounding machine. When I purchased this equipment, it came in a very compact and good packaging. The trainer was very easy to set up after reading the steps and guidelines written on the box. I used wrenches to assemble this system and took assistance from my father at the time of adjusting it on the rim. Since, it was heavy so I was avoiding any difficulties. The trainer lead me perform variety of shots from different angles without having a thought on mind that I have to catch the rebound too. My miss and shots were all falling onto the trainer very easily. Though I didn’t counted but I took hundreds of shots within twenty minutes, which is impossible to do without a trainer. Overall, this product is recommended for the ones who want to be a professional basketball player and is very serious about making your game better by improving your shooting technique with high intensity. Though, if you are just a part timer player who wants to enjoy the game with family or friends than I thinks it’s not a good investment for you. Shooting reps are increased which will make you to perform high intensity quick shots. Consistency and muscle memory is increased due to quick shooting. Ninety minutes of shooting is done within thirty minutes. Sixteen shots per minutes with repetition of 300% enhances your shooting technique. Easy to workout at home or court reducing the need of chasing rebounds. The ic3 shot trainer is not really budget friendly for most of the people. Might be heavy for some while setting it up on and off the rim.